Get £250 per person saving at this great ranch in Northeast Wyoming. 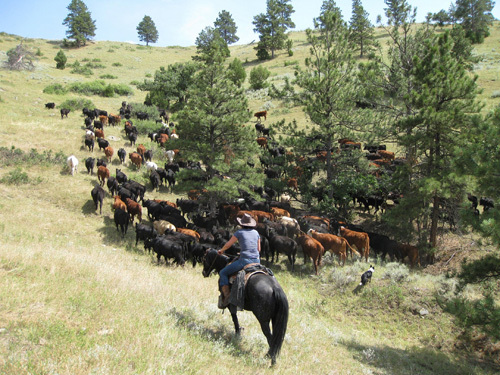 Experience a really working horse, cattle and sheep ranch and ride the range in both Wyoming and South Dakota as this ranch is located close to the border of Wyoming and South Dakota. Now only £1175 per person (normally £1425 p.p.) and this includes 7 nights ranch accommodation, meals, ranch activities, use of ranch facilities, taxes and gratuities. Transfers from Rapid City are an additional £135 per person. Applicable date May 18th – 25th. Flights from £895 per person.